Our favorite project this week is an Omega2-controlled Solar Pool Heater made by Dan O’Brien. Dan’s backyard pool only gets a few hours of sun per day resulting in pretty chilly water, so he took matters into his own hands and built a solar-based heating solution. 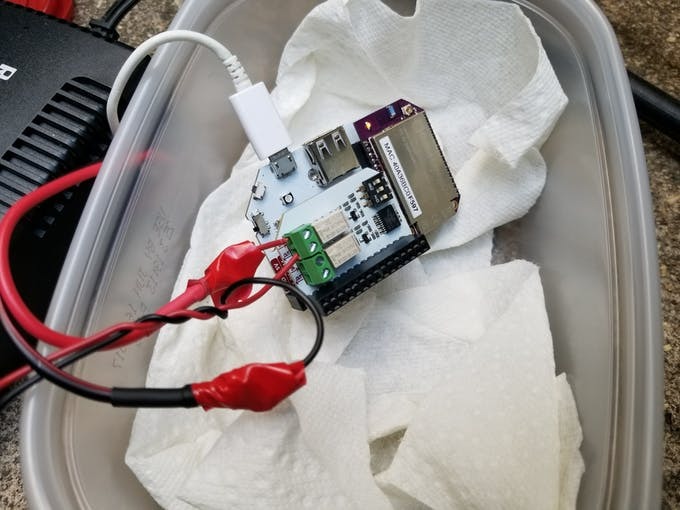 He used his Omega2+, Expansion Dock, and the Relay Expansion to control a pump that pulls water from the pool into a heating coil. The water is then held in the coil to be heated by the sun, and then pumped back into the pool. It’s all controlled by a bash script, with the length of time the pump is active being fine-tuned by Dan.